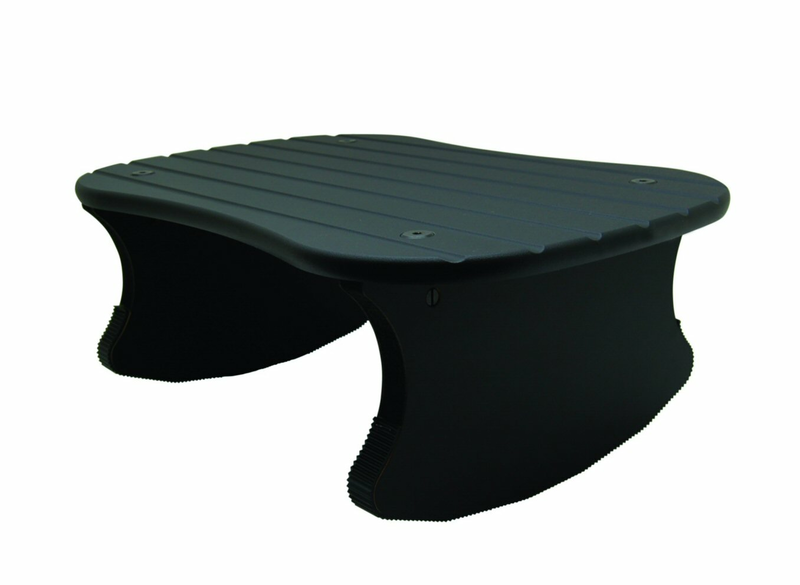 This Rock'n Stop Foot Rest is an ergonomic footrest has a stylishly designed, contoured shaped platform with smooth finished edges. The surface is grooved for both a non-skid application and a comfortable feel. The ingenious Rock ‘n Stop leg design provides front to back motion as well as the ability to stop in various positions along the way. The FR6000 has 7 positions and the FR8000 has 5 positions. Each foot rest is made of cabinet grade ½ thick MDF for stability and rigidity. A sturdy and attractive vinyl is applied to all parts to guarantee years of support.